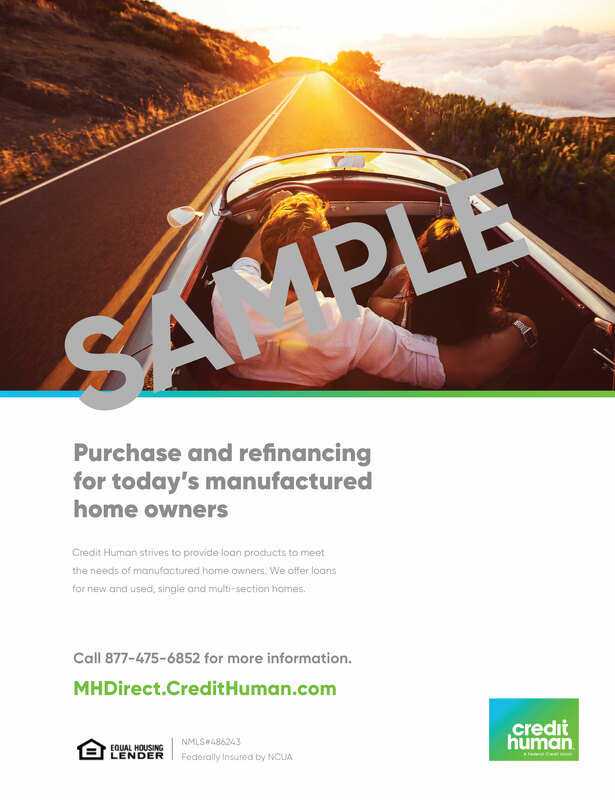 Credit Human understands the importance of establishing, maintaining and growing relationships with our business partners. This commitment extends throughout every facet of the loan process. 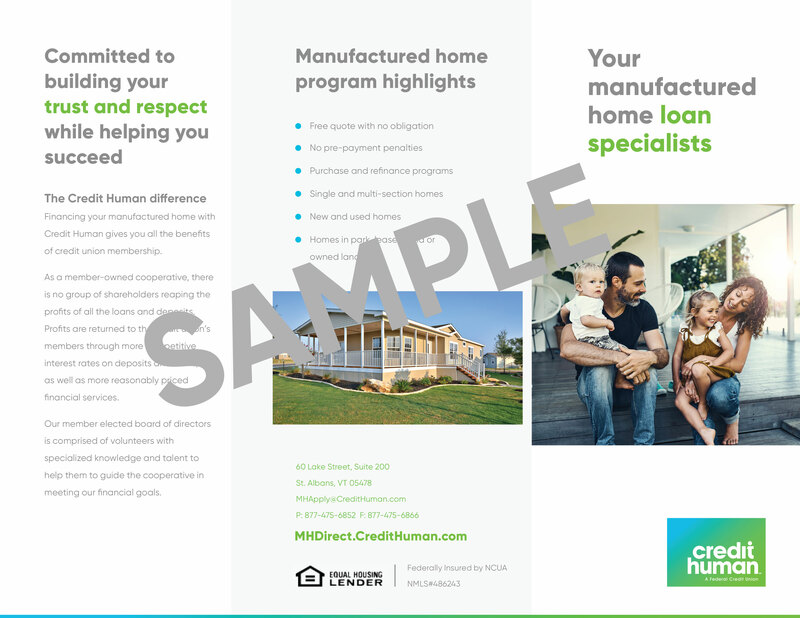 Our team of experienced and dedicated professionals has developed eye catching informative marketing pieces that have proven highly effective in reaching the manufactured home customer. Please contact the Business Development Executive in your area to request your marketing materials today. 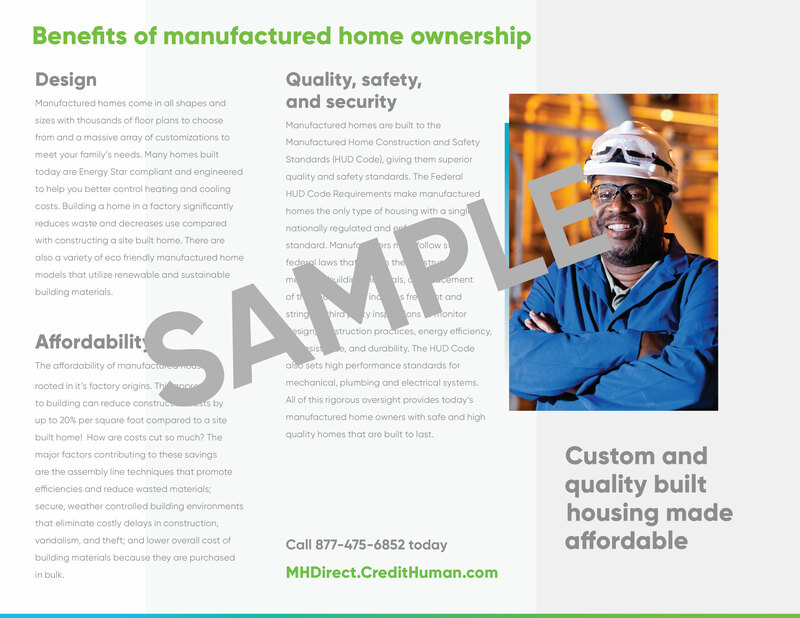 Our trifold brochure highlights the benefits of manufactured home ownership for prospective customers and comes with a sleek stand. These brochures are a great addition to your office counter top or community club house. Our intro package provides prospective business partners with a general overview of our products with samples of our program guidelines, applications and current flyers as well as other useful information. Photo quality seasonal flyers which highlight key benefits of our products. The following helpful links will provide you with information about our parent company and others related to the success of Credit Human.